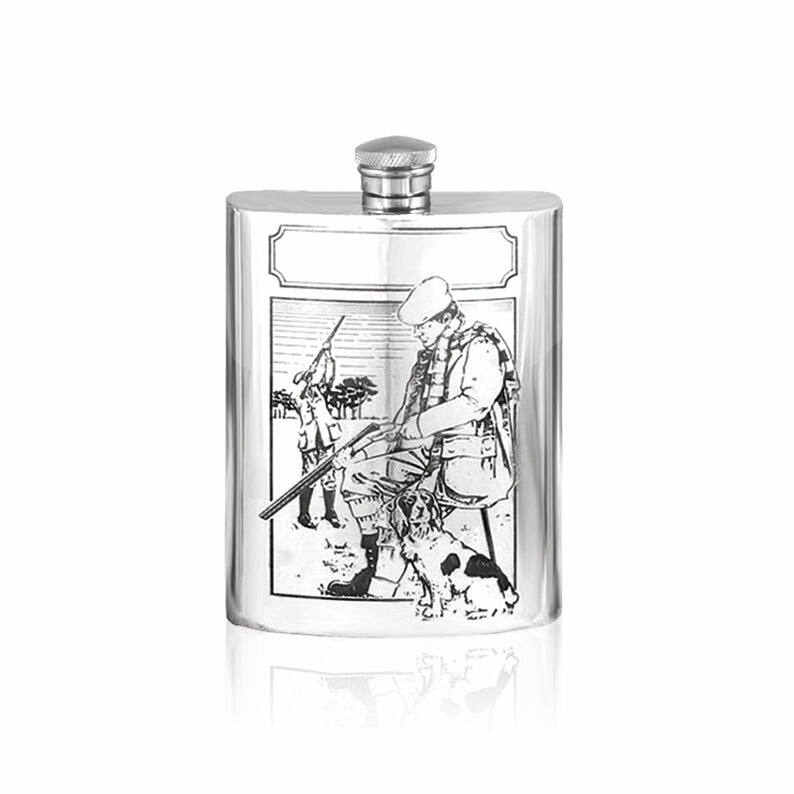 Pewter tankards and hip flasks are traditional choices as thoughtful, commemorative gifts and this particular six ounce flask celebrate another great British tradition; that of the countryside sports. 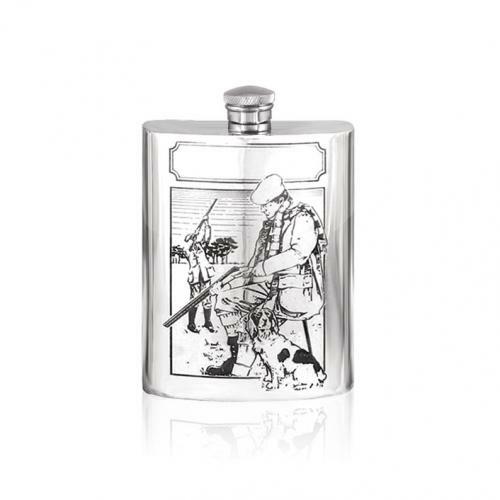 The front of the 12cm by 9cm hip flask is decorate with a detailed and beautiful image of two men with shotguns accompanied by their trusty gundog. 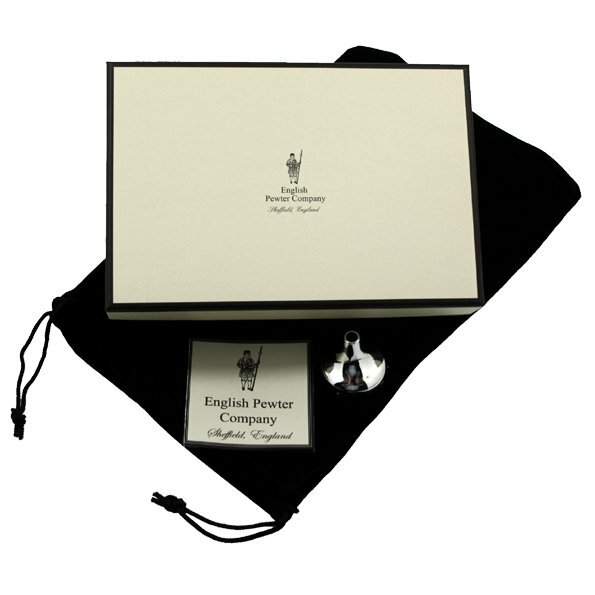 The use of high quality lead free pewter means that the flask will not tarnish over time, and can be displayed in all its glory in the elegant cream and black presentation box which is provided.